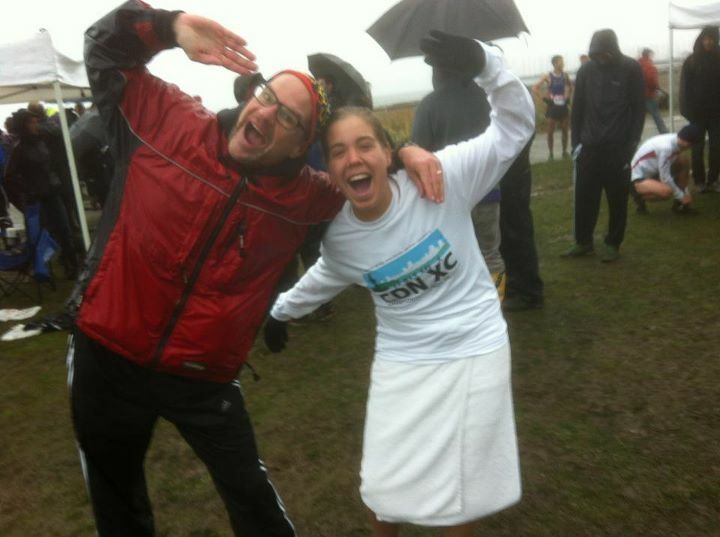 Former Wolves runner Fiona Benson battled torrential rain and mud and finished 7th in the Junior Womens race at the Athletics Canada National Cross Country Running Championships on Saturday in Vancouver. Benson clocked 18:59 for the 5 km course, 25 seconds behind winner Ellen Pennock from Calgary. Benson also finished 7th at the 2010 Junior Nationals. A pair of younger Wolves AC runners also took part. Kayla Hardy placed 97th in the Junior Womens race, while Hayden Hollowell finished 115th in the Junior Mens race. Bill Corcoran (66th) and Marlene Corcoran (90th) contested the Masters 8 km race. This entry was posted in Cross Country, Uncategorized and tagged Athletics Canada, Cross Country Running, Fiona Benson, GPRC, GPRC Wolves X-C Running, Grande Prairie Alberta, Trinity Western University, Wolves Athletics Club. Bookmark the permalink. Awesome!!!! Wolves and Wolves alumni are outstanding!!!! Also their coaches and their wives!!!!!!!! 🙂 Huge hugs to all of you!! !